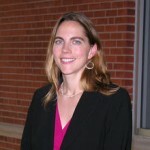 Morgaen L. Donaldson is an Associate Professor of Educational Leadership at the University of Connecticut and Director of the University’s Center for Education Policy Analysis. She is also a Research Associate at the Center for Policy Analysis and a Research Affiliate of the Project on the Next Generation of Teachers at Harvard University. Dr. Donaldson began her career as a high school teacher in urban and semi-urban schools and was a founding faculty member of the Boston Arts Academy, Boston’s public high school for the arts. She also served as a Project Director in a Gates Foundation-funded effort to replicate the best practices of small schools successfully serving low-income and minority populations. As a researcher, Dr. Donaldson conducts quantitative and qualitative studies on educator quality, educator evaluation, teacher retention, school leadership, and teachers’ unions with a particular focus on urban and rural schools. She is currently conducting studies on New Haven (CT) Public Schools’ teacher evaluation system and other human capital development efforts; the state of Connecticut’s new education evaluation system; and the relationship between school organization and science achievement. Donaldson, M.L. & Papay, J. (2014). Teacher evaluation for accountability and development. In (Eds.) H.F. Ladd and M. Goertz,Handbook of Research in Education Finance and Policy. Donaldson, M.L. & Papay, J. (2014). Teacher Evaluation Reform: Policy Lessons for School Principals. Principal’s Research Review. National Association of Secondary School Principals. 9(5). 1-8. Green, P.C., Donaldson, M.L., & Oluwole, J.O. (2014). An Analysis of the Policy, Research, and Legal Issues Surrounding the Exclusion of Charter Schools from the Teacher Evaluation Revolution. Journal of Law and Education. Donaldson, M.L. (2013) Principals’ approaches to cultivating teacher effectiveness: Constraints and opportunities in hiring, assigning, evaluating, and developing teachers. Educational Administration Quarterly, 49(5), 838-882. Irizarry, J.G. & Donaldson, M.L. (2012). “Teach for América: The Latinization of U.S. Schools and the Critical Shortage of Latino/a Teachers.” American Educational Research Journal, 49(1), 155–194. Donaldson, M.L. & Donaldson, G.A. (2012). “Strengthening Teacher Evaluation: What District Leaders Can Do.” Educational Leadership, 69(8), 78-82. Donaldson, M.L. & Papay, J.P. (2012). Reforming Teacher Evaluation: One District’s Story. Washington, DC: Center for American Progress. Donaldson, M.L. (2012). “The Promise of Older Novices: Do Older Entrants To Teaching Remain In Low-Income Schools Longer Than Their Younger Counterparts?” Teachers College Record, 114(10). Neufeld, B, & Donaldson, M.L. (2012). “Coaching for Instructional Improvement: Conditions and Strategies that Matter.” In B. Kelly & D.F. Perkins (Eds.). The Cambridge Handbook of Implementation Science for Educational Psychology. Cambridge, UK: Cambridge University Press. Donaldson, M.L., Cobb, C., & Mayer, A. (2010). Contested Terrain: Principal and Teacher Leadership at Grove Street Elementary School. Journal of Cases in Educational Leadership, 13(2), 29-38. Donaldson., M.L. (2010). No More Valentines: Making Teacher Evaluation Matter. Educational Leadership, 67(8). Donaldson, M.L., & Johnson, S.M. (2010). The Price of Misassignment: The Role of Teaching Assignments in Teach for America Teachers’ Exit from Low-Income Schools and the Teaching Profession. Educational Evaluation and Policy Analysis, 32(2), 299-323. Johnson, S.M., Donaldson, M.L., Munger, M., Papay, J., & Qazilbash, E. (2009). Leading the Local: Teachers Union Presidents Chart Their Own Course. Peabody Journal of Education, 84(3), 374-393. Donaldson, M.L., Johnson, S.M., Kirkpatrick, C., Marinell, W., Steele, J., & Szczesiul, S. (2008). Angling for Access, Bartering for Change: How Second-Stage Teachers Experience Differentiated Roles in Schools. Teachers College Record, 110(5), 1088-1114. Interviewed for The Hartford Courant, “State Board of Education May Slow Roll-out of New Evaluation System.” February 5, 2013. Interviewed for The Huffington Post, “Chicago Teachers Strike Shows Teacher Accountability At Charters Differs From Union-Contract Schools.” September 20, 2012. Interviewed for The Boston Globe, “Leading Unions Vow to Fight Deal to Curb Teachers’Seniority.” June 9, 2012. Interviewed on WNPR’s Where We Live. January 23, 2013. Interviewed for Education Week. “New Vigor Propelling Training.” Education Week, 30(13), 1-20. December 1, 2010. Report on evaluation in charter schools provided basis for New York Times. “Who Grades the Graders?” March 20, 2010.